I was recently contacted by SOUFEEL to collaborate with them for a review. I have never been a fan of charm bracelets, since I believe that collecting charms would take forever. On the other hand, just recently during the month of February, my sister brought me a Pandora bracelet with a charm that states "My Special Sister" and now you will never see me leave the house without my bracelet. I started loving the concept of charm bracelets since it a method of using this simple bracelet to tell a story of your life, your dreams or your wishes. I love to wear simple accessories and charm bracelets are the perfect piece. Similarly, the bracelets from SOUFEEL offer the same quality as the big brands such as Pandora, at a more than reasonable price. The bracelet and the charms arrived well packed each charm wrapped individually and placed neatly in a black case. These jewels are made out of sterling silver (925). Plus, most importantly the good news is that Soufeel charms fit perfectly with Pandora bracelets. Plus, Mother's Day is just around the corner and if you are looking for a unique/memorable gift this year then check out SOUFEEL. Also, Chamilia bracelet with the lower price and mostly recommended by many buyers. 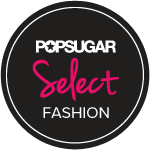 Plus, they have launched lots of Spring New Arrivals on website and the new registered customers will get 20 points which mean saving money. And the best part is that they offer free shipping worldwide with orders over $50 and 365-day return and exchange guarantee. 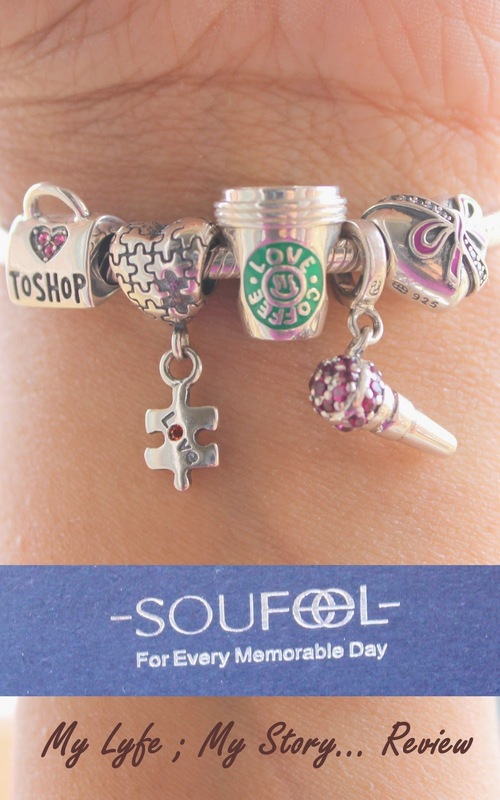 Each of the charms in this "SOUFEEL Charm Set" had a special connection to me. 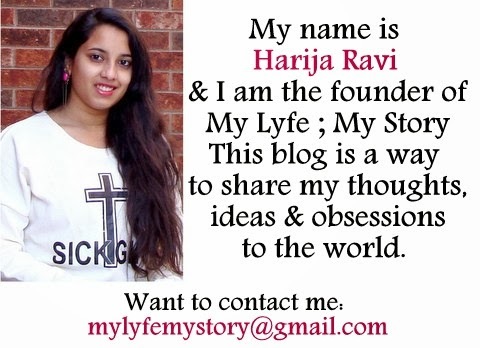 It literally tells my story... Yes, it's "My Lyfe ; My Story"
The first charm: "Silver Love Coffee Charm 925 Sterling Silver"
illustrates my love for coffee and yes, I can't live a day without coffee. The second charm: "Pink CZ Microphone Dangle Charm 925 Sterling Silver"
Third charm: "Love Bag To Shop Charm 925 Sterling Silver"
Forth charm: "Silver Heart Shape Dangle Charm 925 Sterling Silver"
Final charm: "Pink Heart Charm 925 Sterling Silver"
"My Lyfe ; My Story"